Advanced Dental Care | Dr. Donald St. Angelo, D.D.S. Dr. Donald St. Angelo grew up in Denham Springs. He attended Denham Springs High School where he graduated in 2002. He then went on to LSU to receive his bachelors degree in Biological Sciences. 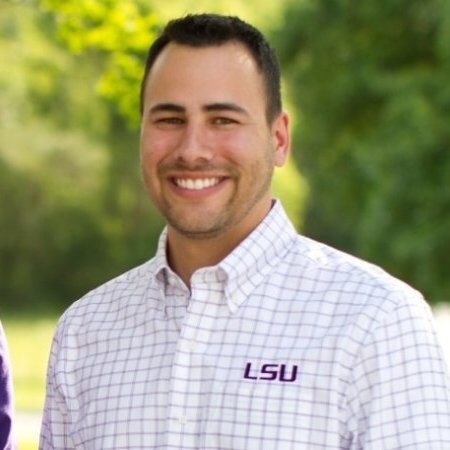 After completing his undergraduate studies he attended the LSU School of Dentistry where he earned his DDS degree. He currently resides in Denham Springs with his wife Jessica and their two children, Max and Eli. Dr. St.Angelo is Certified in Basic Life support, Advanced Cardiac Life Support and Pediatric Advanced Life Support. Dr. St.Angelo is a member of International Academy Facial Aesthetics, The American Dental Association, The Louisiana Dental Association and The Greater Baton Rouge Dental Association. It is Dr. St. Angelo’s pleasure to provide gentle and caring dentistry to all of his patients. He enjoys seeing anyone from small children to our elderly adult population. He is also certified to provide his patients with nitrous oxide sedation and oral conscious sedation.